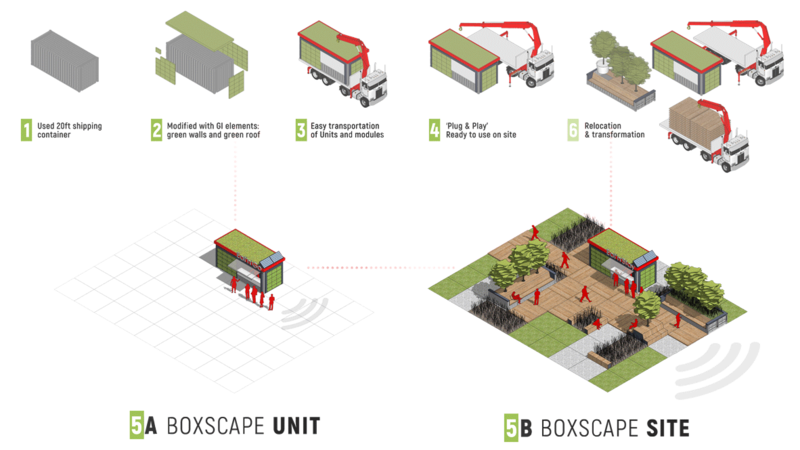 BOXSCAPE – Promoting the Green Infrastructure. Flexibility of the system allows BOXSCAPE SITE to be installed in different contex, surfaces and scale. Demonstrating capability for organising spaces with variety of function and benefits. The concept revitalizes and utilizes neglected оr highly build up areas, by turning them into social green cores, bringing social, ecological and economic benefits for the people and the city. The BOXSCAPE unit utilizes used 20ft shipping container as base. Modified with green walls and roof. The unit is prefabricated, mobile and ready to use when installed with minimum construction work. 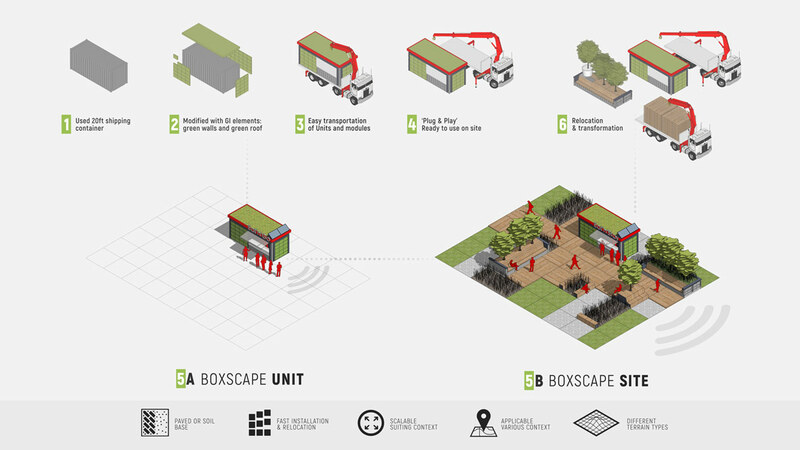 The BOXSCAPE system is based on modules placed in a square grid, originating from the shipping container dimensions. Revitalizing the Green infrastructure of Sofia through its municipality, business and citizens. Benefiting its municipality, business and citizens. BOXSCAPE ideology is based on promoting and integrating GI and its elements in urban spaces, combining aesthetics, sustainability and ecology.